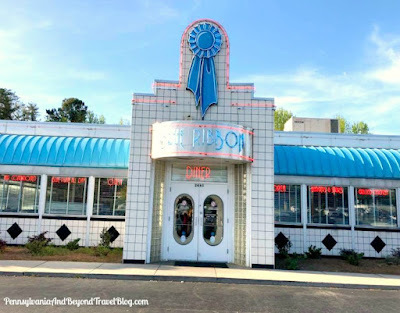 Two months ago when we were on a road trip through the great state of North Carolina, we stumbled upon the Blue Ribbon Diner in Mebane. It's a locally-owned and operated diner that serves your classic American style diner food. In other words, the comfort foods that we all grew up on and love! Classic foods you'll find on their menu include: hamburgers, hot dogs, grilled chicken, fried chicken, roasted turkey, angus steaks, spaghetti & meatballs, meatloaf, fish, macaroni & cheese, french fries, onion rings, fried mushrooms, soups, salads, hot & cold sandwiches, milkshakes, ice cream sundaes and more!!! You can decide if you want to dine-in or if you want to order take-out with curbside-to-go service. We decided to dine-in and at the time we were at the restaurant, they weren't crowded at all. Our wait-service was friendly & knowledgeable and the entire restaurant is extremely clean! The food was delicious and the service was fantastic! As you look around the restaurant you'll see all kinds of different "classic" diner decor. Check out that super cool juke box in our photo, which my husband was ooing and ahhing over. I think you'll "dig" the classic red, white and black color-scheme too! 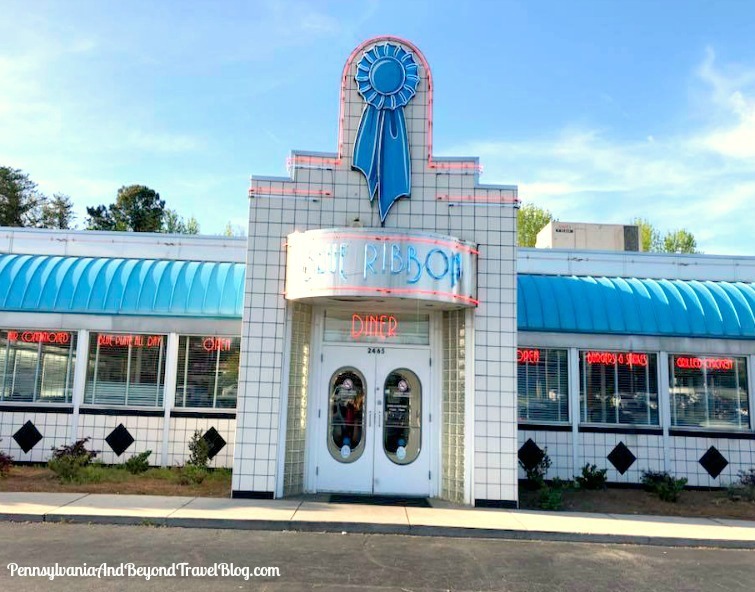 We really enjoyed our visit to the Blue Ribbon Diner in Mebane, North Carolina and if we're ever in the area again, we'll be stopping by! 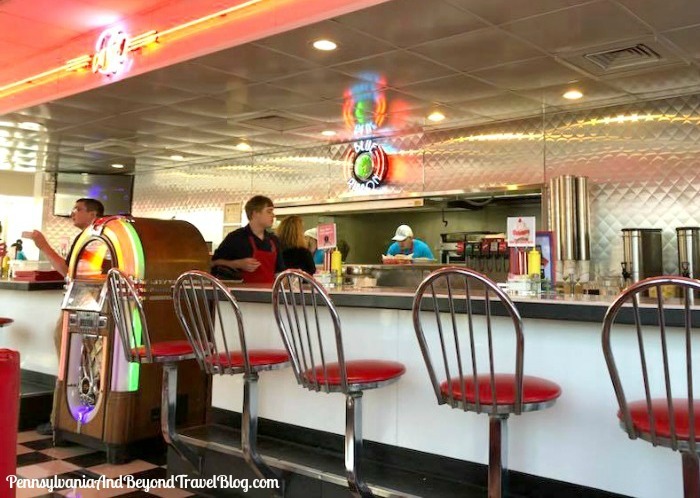 If you enjoy visiting classic diners, you're going to love this special place!